It is terrifying to wait for the result of my thesis but there’s nothing I can do for this time without just waiting for it. These days, I’m thinking what I can write for this blog and what I can do for the next research. 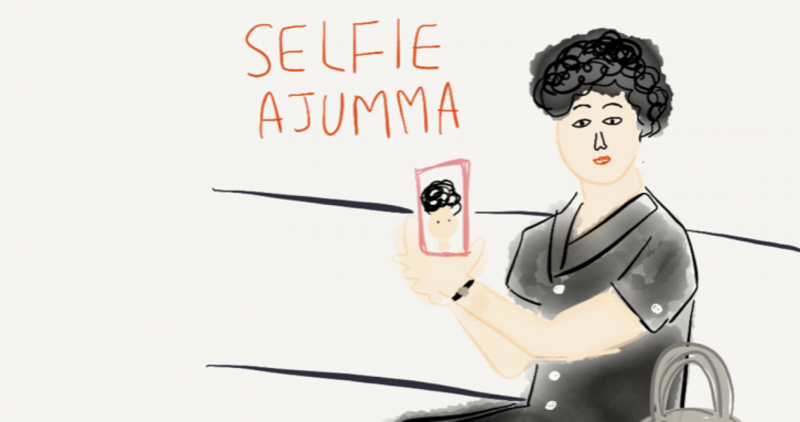 Also, I should keep updating about ajummas and their own ways of mobile communicating by using smartphones or other digital devices. So far, I couldn’t find any ‘big’ differences from my findings that I’ve done 2 years ago for the thesis yet. The pattern’s of mobile communication in their online communities (mostly Kakao Talk’s group chat room) is still quite similar compared to 2 years ago. But I keep researching about them and their usage of smartphones. need ideas! from Jung Moon on Vimeo. Next Next post: A trot song is for ajummas?